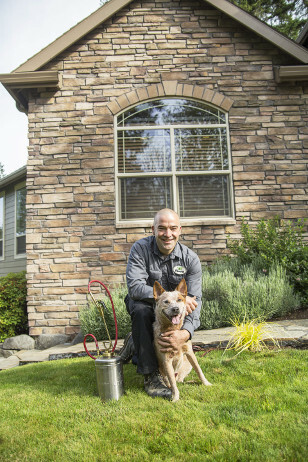 Bloom Pest Control is pleased to serve the pest control and extermination needs of Troutdale & Wood Village, Oregon, as well as the surrounding areas. Our local, family owned business only employs certified expert pest control specialists. We are so confident you will be pleased with the pest control services we provide, all of our work is guaranteed, or your money back. If you think you may have a pest infestation in your home or business, we encourage you to contact us today for a free inspection and quote. We are also available to set up routine pest inspections to ensure that your property remains pest free. Residential Pest Control Services: we offer same day service to take care of your unwanted pest problem. Our pest control specialists are always courteous and promise to always treat your home with the respect it deserves. Commercial Pest Control Services: our pest control specialists are always discrete and can provide fast and effective pest control services to eliminate your pest issue quickly. We gladly service apartment complexes, restaurants, schools, offices, retail stores, retirement homes, recreational facilities, churches, schools and much more! Crawlspace Pest Extermination: we offer crawlspace pest extermination for both our residential and commercial customers. Our company is committed to using integrated pest management principles. Integrated pest management principles incorporate best-practices in pest control that do the least amount of harm to our customers, their properties and the environment combined with extensive education about various types of pests and how they interact with the environment. Using integrated pest management principles ensures that you always get the highest quality of pest control services possible. Troutdale or Wood Village Oregon? Give us a call for a quote over the phone.